The overall goal of every HR manager and recruiter is to hire and retain the very best people who will make strong contributions to the organization’s success. But doing this means navigating the FCRA EEOC FTC ADA CFPB alphabet soup of regulations and regulatory agencies without losing sight of who those best people are. 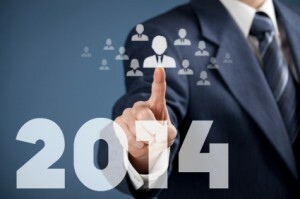 Here we offer five resolutions you can make in 2014 to both help your organization make better hiring decisions and manage your hiring risks in 2014. We understand that every HR pro knows that the Fair Credit Reporting Act (FCRA) governs how you can use “consumer reports” (like background checks) in making employment decisions. But it’s worth a short refresher course (see our post on the FCRA requirements) to make sure your hiring process complies. In particular, the FCRA stipulates how you must communicate with each applicant if you use background check information in your decision, including taking adverse action. While hiring decisions ultimately require you to make a judgment call, your decisions will likely improve the more information you can take into account. We realize there’s a limit to this because it’s costly to gather more data, but make sure you do not rely on a single type of information. That applicant in front of you has a complex background, and it will help you to know as much about it as possible- both depth and breadth matter. The EEOC has emphasized using individualized assessments in the hiring process to ensure your decisions to exclude applicants based on criminal records are legally compliant. Your goal is to avoid excluding someone whose criminal past is simply not reasonably relevant to the job in question. If you decide to exclude an applicant – or take any potentially adverse action against an employee—based on information in a background check, make sure you follow the two-step process outlined in the FCRA rules. Communicate with the applicant or employee before taking adverse action, and then again after taking the action. In this process, make sure the person receives information about their rights as well as the specific information you used to exclude them. Now more than ever, finding the right person to hire requires that your hiring process is systematic and fair. Every HR professional needs a written policy that defines a process that protects both the organization and the applicant. Part of this will be an employment screening process that is compliant with regulations and allows you to exclude risky applicants where the risk posed is reasonably job related and the exclusion is a legitimate business necessity (see our background screening process infographic for an overview). As an HR professional, you have a wide array of risks to manage without losing focus on your organization’s key objectives. Sometimes these risks impose tradeoffs such that minimizing one risk increases another, or imposes unacceptable cost. By instilling solid hiring practices in your organization you have the opportunity to maximize the upside and minimize the risks that accompany human capital decisions. After all, human capital risk is enterprise risk.